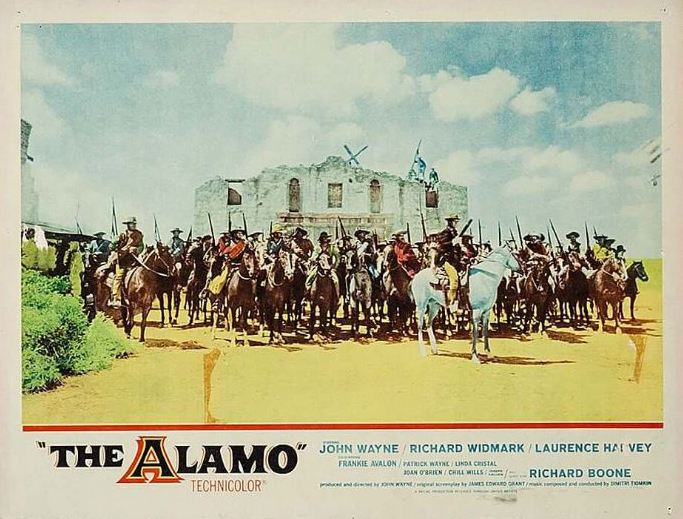 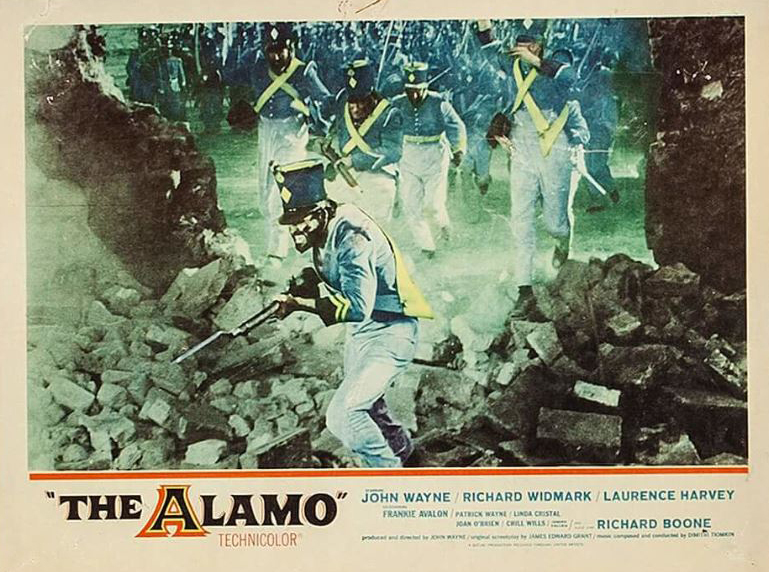 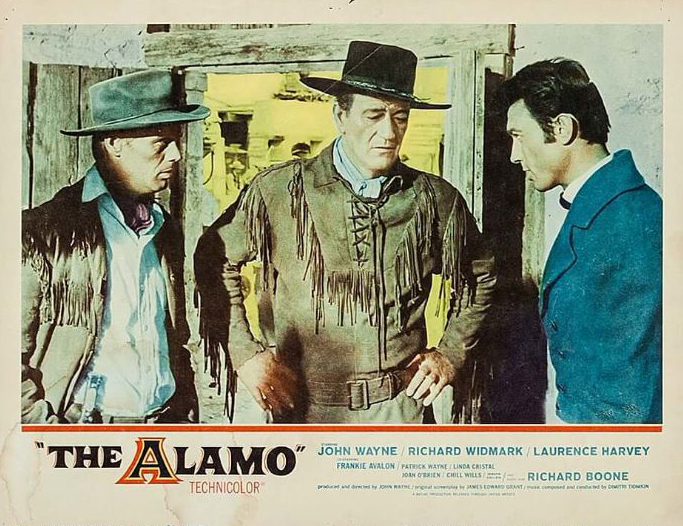 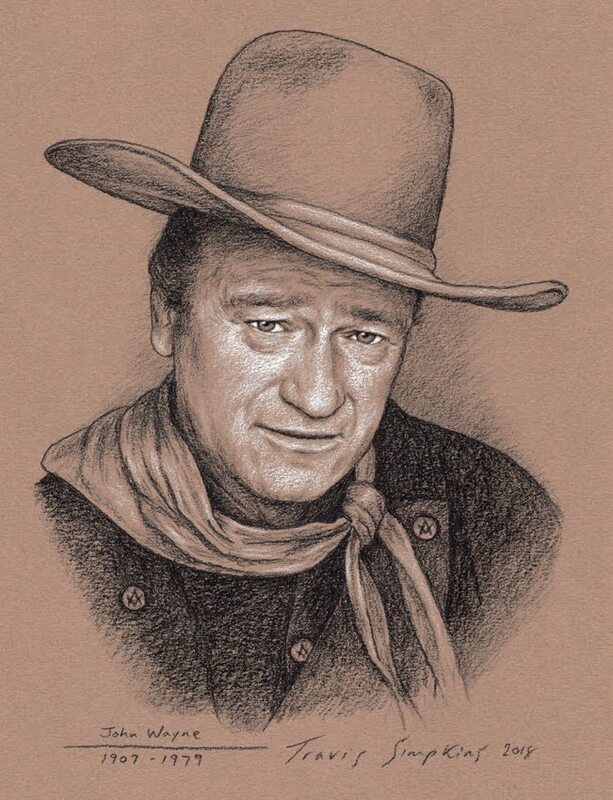 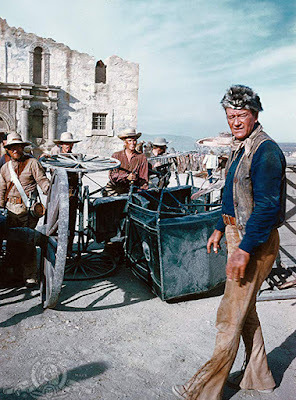 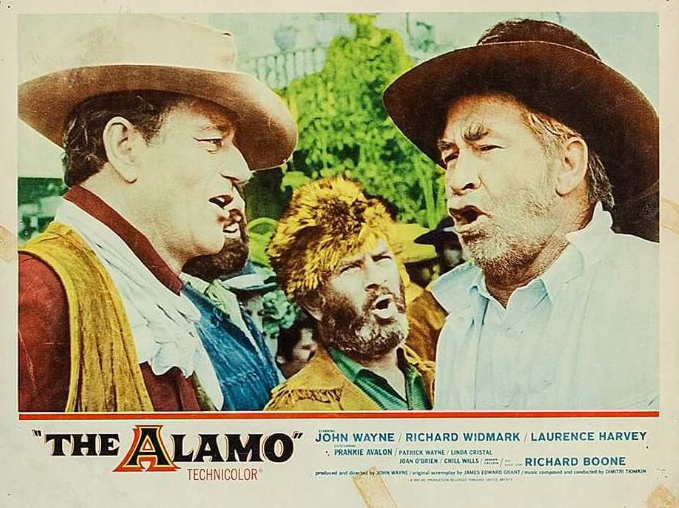 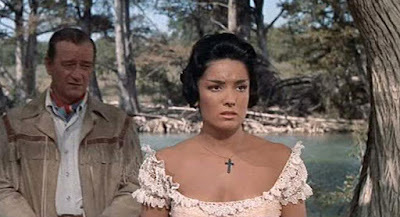 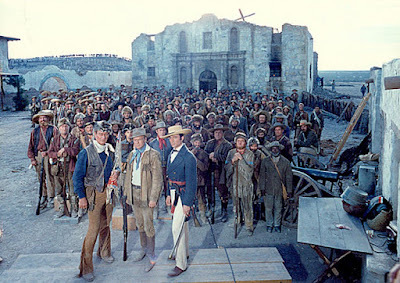 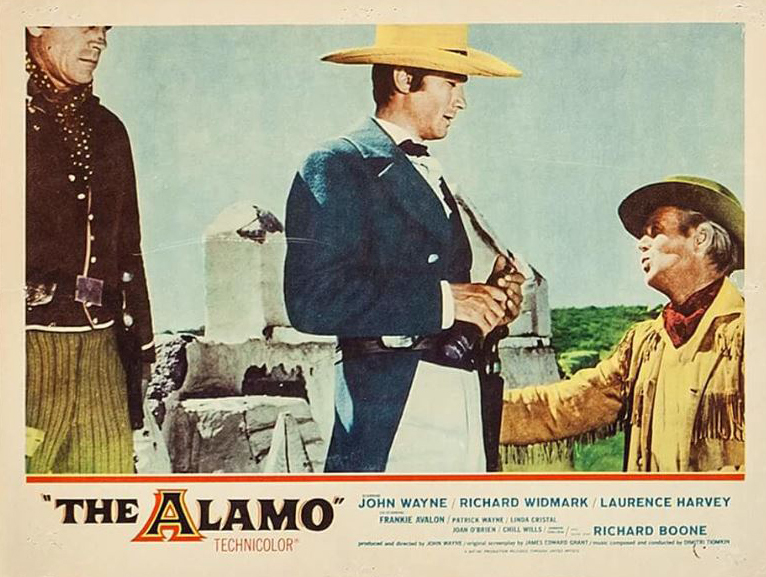 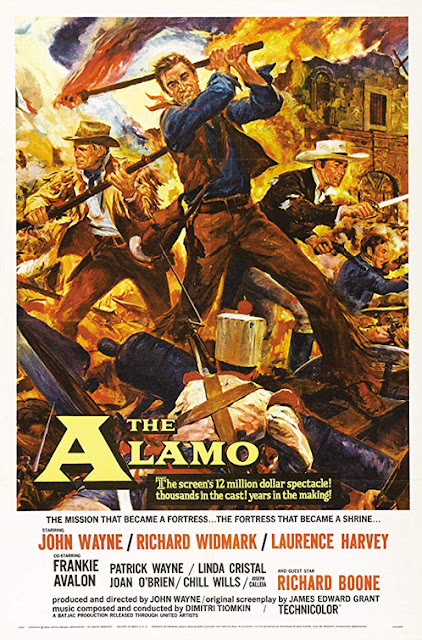 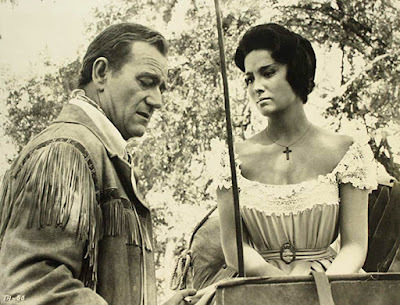 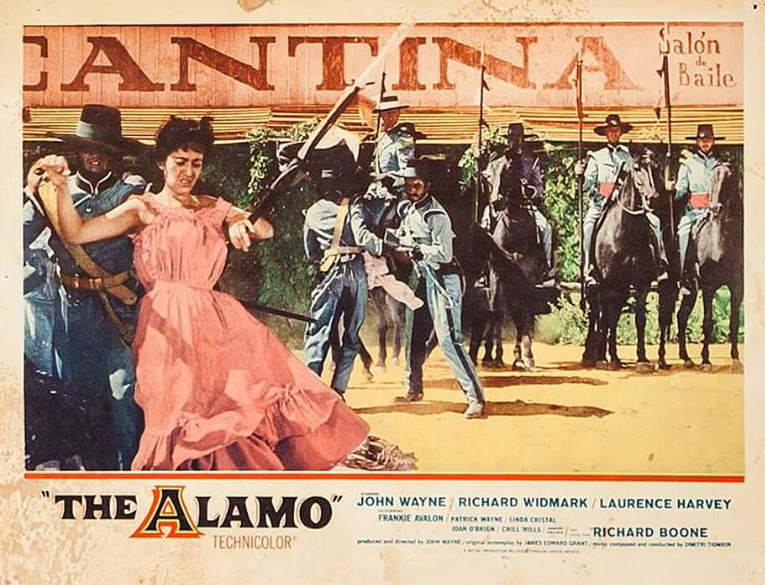 Produced, directed by and starring John Wayne, The Alamo (1960) was one of the very few times The Duke put his skills to use both in front and behind the camera. 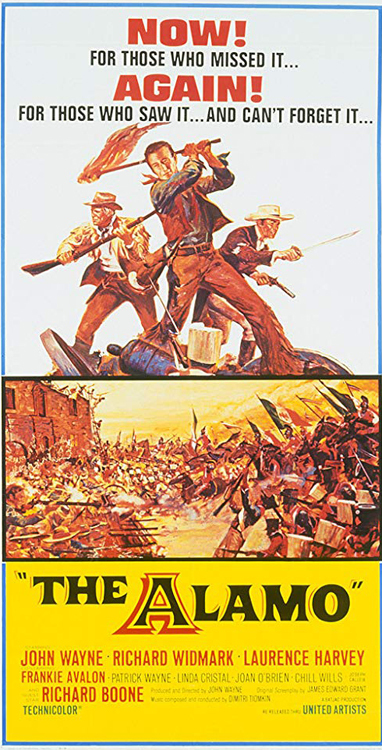 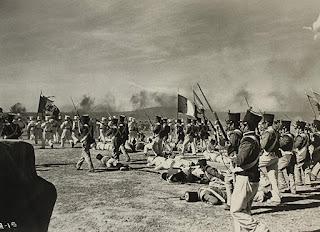 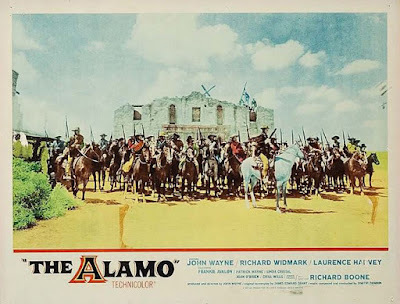 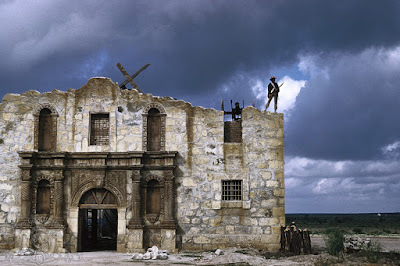 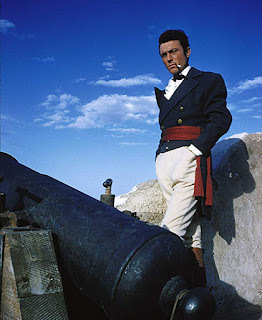 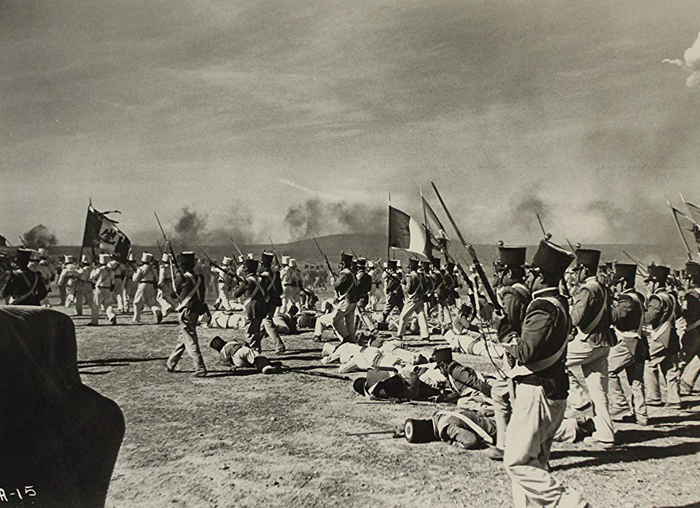 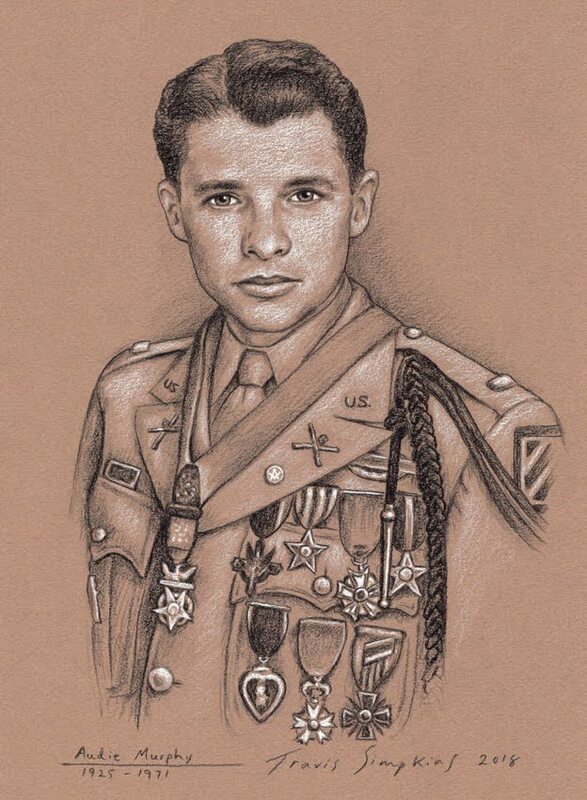 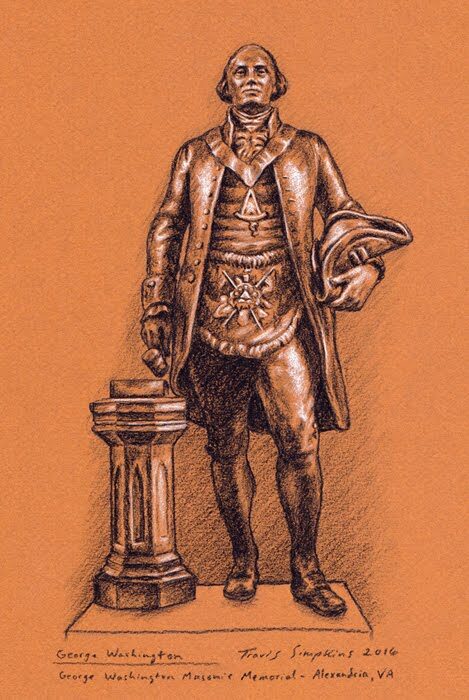 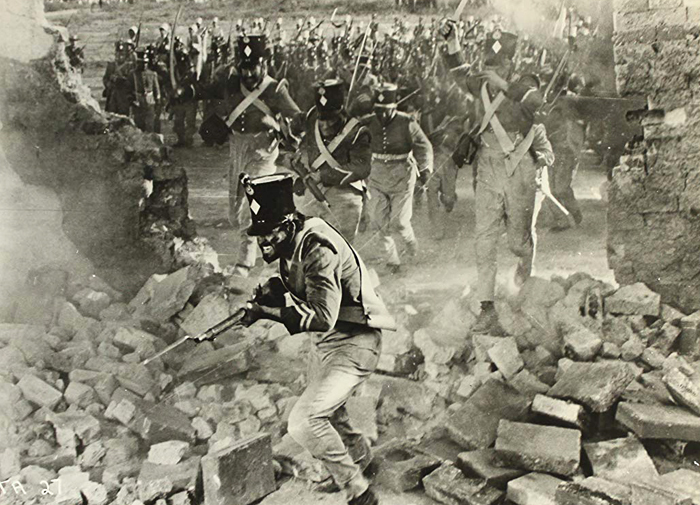 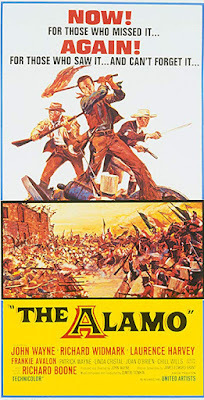 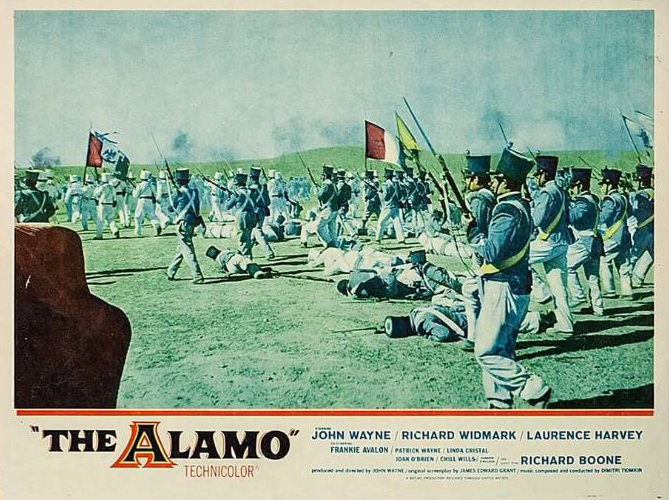 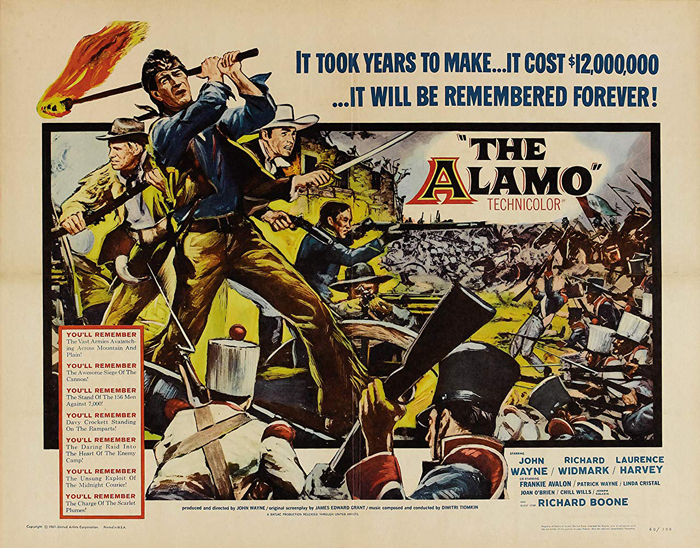 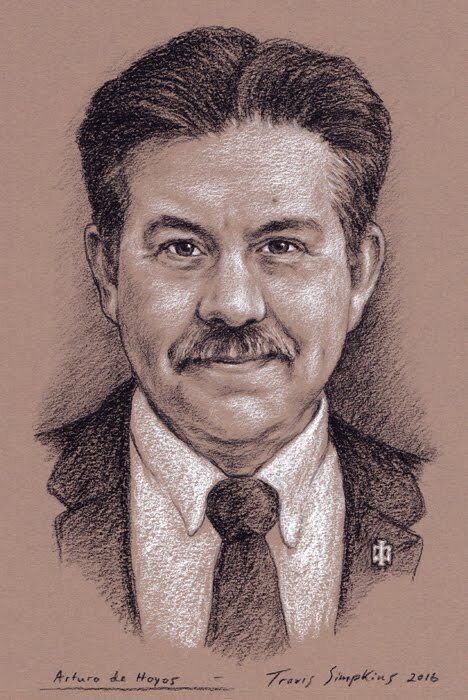 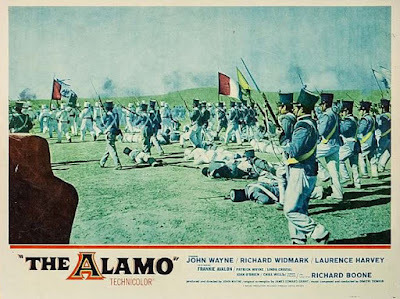 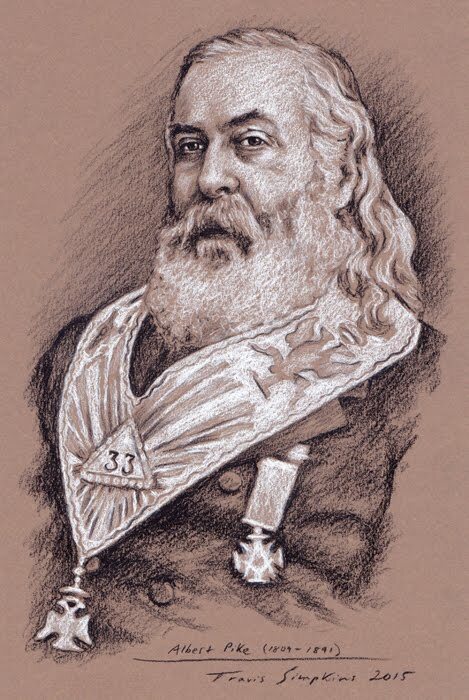 The film centers on the historical events in 1836 Texas, when a group of less than than 200 dedicated rebels attempted to hold the Alamo against the thousands-strong Mexican Army led by General Santa Anna. 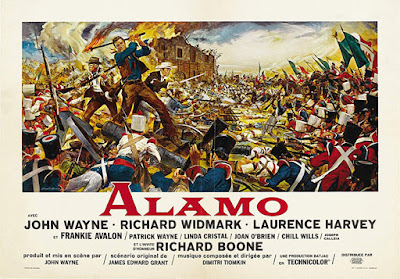 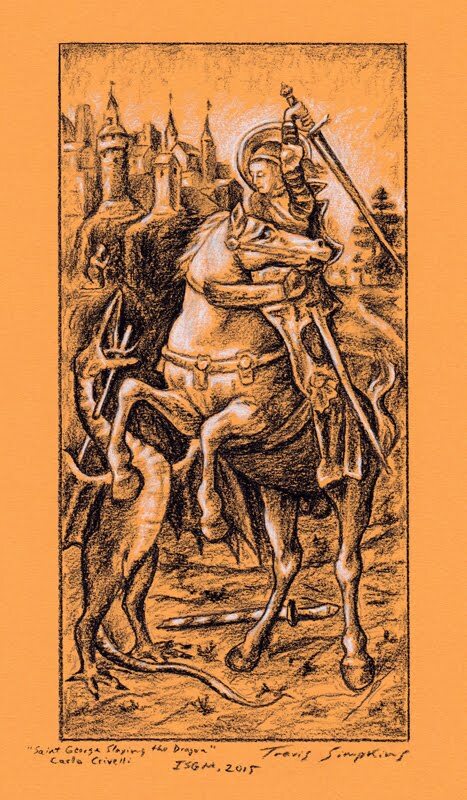 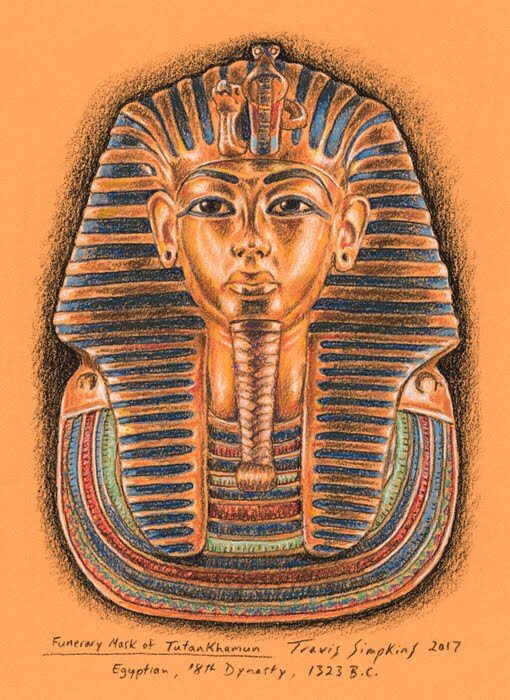 Powerful and dramatic, the film does a wonderful job of telling the heroic story despite some historical inaccuracies. 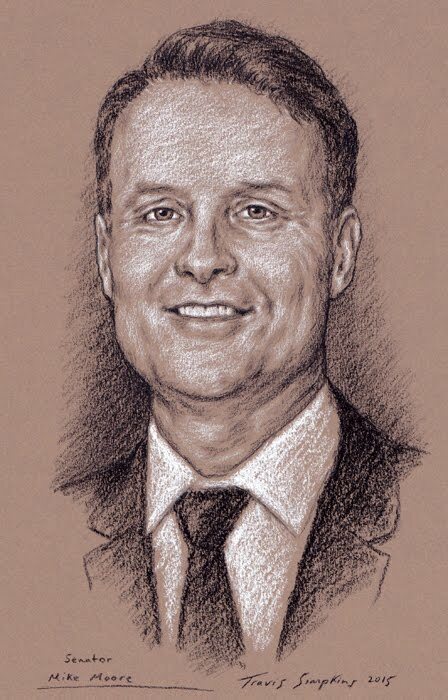 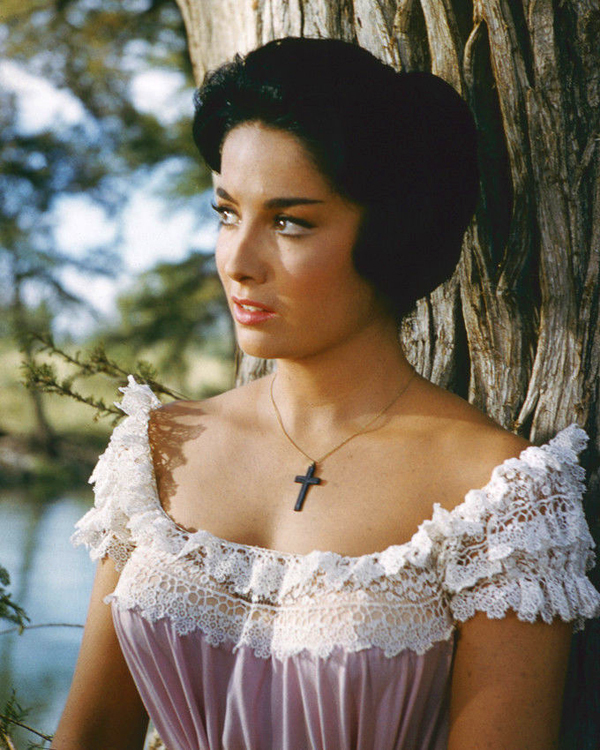 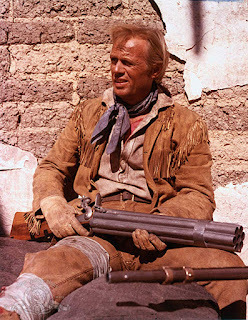 John Wayne is Davy Crockett, Richard Widmark is Jim Bowie, Laurence Harvey is William Barret Travis.